The Making of Right Texts, Wrong Meanings: Romans 13 … Again! For my Chinese readers, my conviction about Romans 13 is well-known because I wrote about this passage in three of my books. My English readers are probably familiar by now since this passage is also in my Right Texts, Wrong Meanings, chapter 15. What I have not talked about in any of my previous work on Romans 13 is how misunderstanding this text can have grave consequences not only on domestic civil liberty but also encourages foreign colonization. This text is serious, and if it is seriously misunderstood by Christians, the consequences are dire. I’ve been spending some time doing two things lately. First, I’ve been blogging on Right Texts, Wrong Meanings. Second, I’ve been reviewing some books written by known theologians on political topics within the Bible. Are the two related? Oh, yes. Having seen the “absolute obedience to government” interpretation of Rom. 13 surfacing again in the Hong Kong mega-churches (aka pro-China churches), I will disrupt my usual flow in blogging about each chapter and focus on chapter 15 of my book. Apparently, these argument and interpretive methods are not limited to Hong Kong pro-government leaders, but also is typical of right-wing evangelical (okay, these really are fundamentalists who claim to be evangelicals) theologians in the US. Right wing! Left wing! What’s the difference? Both sides have hijacked the Bible for their own aggrandizement. Since some of these books claim to be “biblical,” I shall look at some of the usages to see whether that is indeed true or not. I will blog about the book I reviewed much later because my book review has yet to be published. My blog about this one book will illustrate one lesson I’ve been teaching congregations and students for years: proof texts prove nothing. One other lesson I hope my readers will learn is that no matter what the “experts” say about the Bible, read the Bible in context for yourself. Today, I will look at one usage by one very famous US systematic theologian. In fact, I’ve seen similar usage by several Christian authors on this topic. Based on the systematic theologians book, his usual argument follows this logic, “If the Bible says to do this, you must do this. Period!” This guy got a lot of mileage out of Rom. 13, so much so that it is the most cited chapter of the Bible along with 1 Peter 2. If the biblical merit of any theological book rises and falls on the most cited passages, then the most cited passage ought to be examined. Let’s look at the meaning briefly before looking at the dire consequences of misinterpretation in the above form. Rom. 13 is not that hard at all. It is part of Rom. 12. If we read carefully, Rom. 12.14 talks about blessing those who persecute, signifying a new topic of dealing with the society. While Rom. 12.14-21 deals with persecutors, Rom. 13 deals with the government, not in general but in specific situation dealing with morally neutral issues such as taxation (Rom. 13.6). I have dealt with this more extensively in my new book. At this point, all we need to know is that the backgrounds for Paul’s writing are two. First, Paul was on a mission to Rome and then Spain (Rom. 15.28). Second, Paul did not live in a democratic society. There had been no known success in revolting against the empire. In addition to the background of the text, there’s important lexical evidence for strong subordination of human government to God’s laws IN THE TEXT. My colleague and friend Sze-kar Wan, in an excellent article points out that we should distinguish between plural “authorities” from the singular. In a private correspondence, he summarizes his argument in this way, “The plural refers to local magistrates; the singular refers to Absolute Authority that properly belongs to God alone.The plural of Rom. 13.1c is a play on the plural of Rom. 13.1a and the singular of 13.1b & 13.2a.” What Paul wrote as a very strong monotheistic subordination of human government under God’s law. This is something that those who stress absolute obedience to government have failed to notice altogether. Now on to the consequential logic coming out of misreading Rom. 13. We shall see that any misreading of Rom. 13 makes a meal of an appetizer and dealt with no direct relationship with either mission or totalitarian government at all. We shall see what terrible consequences come out of misquoting and misinterpreting the Bible. When reading this theologian, he uses Rom. 13 to talk about four basic issues close to his heart: obedience to US government (especially the constitution), capital punishment, pacifism, Native American settlement. I only use the Native American example he uses to illustrate a greater problem. If you substitute “Native Americans” with any oppressed group in any part of the world, you can reuse this example. For my Chinese readers, you can substitute this for the dockworkers or the colonized people of Hong Kong. The danger needs to raise a huge red flag, and I don’t mean the red Five Star Flag of China. First, the basic assumption about Rom. 13 by this one author I’m reading is that it endorses the US Constitution as something representing the government’s role and should be obeyed absolutely by citizens. The book’s author fails to grasp that the “obedience” to the constitution (or perhaps one interpretation of it) had relegated black people to the back of the bus and separate toilets just some fifty years ago because simply the interpreters, especially conservative ones, tend to also advocate racist policies. The author fails to note that his understanding of obedience is also a kind of interpretation. What if (and I’m saying this hypothetically) the US Constitution has anti-biblical elements? Would the full endorsement by this author prevent him from being able to critically engage the issue rather than a blind adherence to it? What if ANY country has a constitution that has anti-biblical elements? The highly flawed presupposition of this author is that the US constitution was based on Christian principles. This “Christian nation” notion (ironically only argued by the American Religious Right) is highly debatable. In his view of the international relations, his orientation is completely based on US imperial doctrine of manifest destiny (a highly colonial US policy from the 19th century in its dealing with the entire American continent) even though he would never admit it. Astonishingly the same author actually says that the Korean War and Vietnam War were efforts to protect the nations and preservation of freedom. This essentially implying that both Korea and Vietnam were “our nations,” never mind that lives on both sides were lost. All at once, such loss of lives surely should go against the consistently pro-life position he advocates, but he fails to grasp the logical contradiction. Does he mean protection of all lives or just American unborn children’s life and all lives form different nations are worth killing to protect American nation and preserve American freedom? This two-tier American exceptionalism plagues this book at almost every issue. The examples are too numerous to name. The problem of his hermeneutics is a failure to understand the world in front of the text, but soon enough, he will demonstrate his failure also regarding what is in the text and behind the text. By his assumption, our government can claim any nation to belong to the US, and we must say amen to that in obedience to Rom. 13. If we switch this to a totalitarian regime like China, its Christian citizens would also have to endorse (not just tolerate helplessly) its aggression in Asia and Africa. Second, in justifying capital punishment, he simply talks about the sword the government bears as some kind of literal figure that puts people to death. He states that the sword literally means the sword that executed criminals. This is simply untrue. The Roman magistrates who wore the sword did not use the sword to kill off anyone they deemed criminal. His suggestion is based on word studies alone without taking into consideration of how the Roman society functioned. Just suppose that the sword was literally used by the governmental authority, he appears to have a case, but that appearance is only superficial even based on his own application. By rejecting the sword as a symbol of governmental power, he makes the serious mistake of not seeing his own symbolic interpretation of Paul’s passage. After all, what does he mean by the sword? Is it not as a symbolic power of the government? Does the US government now use swords to execute people? According a consistent application of his wooden method, the most biblical case should be made by the US government going back to executing people by beheading criminals. This incomplete understanding seems to point to a lack of understanding of how symbols work and how language can function as a sign at almost every level. If so, those who see the sword as a symbol have a stronger case than a literal application of the text. While many wish to make a clear separation between exegesis and application, this interpreter demonstrates no such understanding. At the hermeneutic level, interpretation inevitably leads to some sort of contextualization even if we contextualize the text to the NT time. Third, especially demonstrative of his reading of Rom. 13 is his discussion on pacifism. We can put aside whether pacifism is the “biblical” way or not for the time being, since such a topic is beyond the scope of this review. I do not care either way, for the purpose of this blog. In typical wooden fashion, the book quotes Rom. 13 as the proof text of divine governmental authority. He suggests that disobeying the war policies of the government, the pacifist is disobeying God. In other words, there’s no role for the conscience. So long as US wages war on any country, the citizen must subscribe to the policy without question. How about if this applies to China? What if China takes over Taiwan or Japan or the Philippines? Would the typical Hong Kong Christian still cry “obey the authorities”? The argument against pacifism in the book is particular vulnerable to criticism not only because of the imprecise attempt at absolutist exegesis, but also his overstatement against pacifism. My criticism at this point is against his misunderstanding of pacifism in American politics. Pacifism is allowed in American politics! It has been allowed since William Penn the Quaker founded Pennsylvania. In American Christianity, pacifism has been a legitimate, though not always popular, tradition. Conscientious objectors to war have come in and out of American history and tolerance for such objection has been pretty strong lately. Due to exceptions given to pacifists in American law, it is absolutely “legal” to disobey the government’s order to go to war. If the governmental law has the provision for pacifists not to participate in the military, is the pacifist obeying or disobeying the government? The logic should follow that the pacifist is obeying the law, if the book’s logic seems to say that obedience of the law is equal to obeying God’s law. To take this a step further, if the government’s war is deemed unjust, should the Christian resist the order to go to war personally? These are questions that a simple “yes” or “no” or a straight proof text cannot answer. Fourth and finally, as if the problem of historical manifest destiny is not severe enough, his treatment of the Native American land ownership issue takes his misplaced interpretation down to a new low. His suggestion that somehow there needs to be reform is not the diabolical part, but his insistence that his way of taking away tribal ownership and turning it into private ownership is somehow justified by the Bible AND by practicality does not square with the limitation imposed by texts he quotes. He simply states that the sovereignty of the tribes will go away. As if that injury is not enough to insult any level-headed Native American, he goes on to say that the US government should rule because it is God’s servant “for your good” according to Rom. 13.4. At this stage I can barely contain myself without giving some parallels from other cases of Native American history. It is already commonly accepted fact that the original immigrants from Europe had not only taken over Native land but also slaughtered many of them, leading to serious genocide. These tribes had the land. They could do what they wanted with it. Their “government” was their tribe. It is like me walking into a farm one day with my gun and set up my household while running the people off. After they came back to beg to work for me, I tell them that they can be my slave. Now that I establish my household, I would tell the oppressed that I have set up my own rules about how I would use that land, based on Eph. 6.5-9. This clearly is not logically right or biblically supported in the modern civil society. However we deal with the tribal issue is a different story, but his justification via Rom. 13 is clearly criminal. He’s dealing with an issue that a simple “yes” or “no” from the biblical text cannot answer. To answer it is not only naively stupid; it is criminal. It is time to summarize the above mistakes in light of Paul’s background. In order to appreciate the convenience of Paul’s argument, Paul was not talking about all governments in all times. He was talking about the (imperfect) government of the time he was trying to do his mission to Rome and Spain as he wrote Romans. Paul wrote in light of the imperfect government and admitted that within the imperfection, there was divine authority. Yet, the real reason was that the policy of the government was supposed to do good. Paul did not say what would happen if the policy was no good. Paul additionally did not want the church to run into trouble by not paying taxes (Rom. 13.6). The Jews had had historic trouble with paying taxes by the time Paul wrote this letter. There was a whole lot that did not get addressed with Rom. 13 simply because Paul’s concern was practical for his mission to Spain. Neither the governmental structure nor the letter situation fit the American church. The straight import of the content of Rom. 13 is completely misplaced. What have we learned from the above mistakes? First, our understanding or misunderstanding of the world behind the text will impact our interpretation. Second, proof texts only prove that you do not know how to interpret the text. Third, our understanding of the world in front of the text with our convictions should consistently reflect the message derived from behind and within the text. The greatest mistake is not necessarily that those convictions are wrong, though the author also got some of the issues fatally wrong, but that his loose method is wrong. Everyone should be grateful to know that not every big church pro-government pastor interprets these texts inconsistently. Inconsistency is not an exclusively Chinese trait. It plagues us all. Under his hermeneutical grid, our government can 1) declare war on anyone, 2) we must support the war effort without exceptions, and 3) we should still treat the Native Americans the way we treated the Lakotas at Wounded Knee. Let’s apply it to the Chinese government (just as an example). Under that idea, China can run over Taiwan or any other little countries, can imprison anyone it wants, can persecute any minority group it wants, and can still treat dissidents the way it did at 1989, June 4th. May history never repeat itself! Amen. Wan, “Coded Resistance: A Proposed Rereading of Romans 13:1–7,” in The Bible in the Public Square, ed. C. B. Kittredge, E. B. Aitkin, & J. A. Draper (Minneapolis: Augsburg/Fortress Press, 2008), 173–184. I thank Wan for pointing out his article for us. Please read his entire article for additional rationale for his imperial reading which I fully endorse. This week has been a tough week in the US. Heated debates on gun control has gotten many sides up in arms. To complicate matters, there’re also many reports of death, some manmade and others accidental. This week has also been a tough week for Hong Kong churches, as debates about politics and church heat up. The press, of course, is having a field day. Eventually, someone is bound to blame the press, and then it happened. On particular Hong Kong mega-church pastor denounced the press on his Facebook for selling paper and splitting the church with sensational news about the Occupy Central movement. The criticism by this pastor is quite typical of Christians, whether they are conservative or liberal, but let us pick on conservatives for a moment just for fun. The criticisms usually focus on the press being subjective, non-Christian and liberal. Let me deal with each. The first criticism is the subjectivity of the liberal press. In our newspapers, there is often the (false) distinction between investigative report and an opinion piece. The report is supposed to be “objective” eyewitness and the opinion piece is the writer’s own opinion. So, what do our objective eyewitnesses say about my city today? To the question, “How’s Seattle today?,” one might say, “Today, Seattle has a little bit of rain.” Another might say, “Today, the ground is wet. Be careful.” Still another might say, “The birds are out.” All these statements are eyewitness statements, but they also represent the experienced opinion of each speaker. Which one is more objective? We can say ALL of them are objective because all these things happen to be experienced by eyewitnesses but experienced the rainy day of Seattle differently in their report. However, let’s suppose that parts of Seattle did not rain (which happens quite often). Someone in that part would object and say, “Today, Seattle is cloudy. Rain predicted.” Where does trouble begin? It begins when the last speaker says, “My experience is true and is truly mine. All of your are subjective.” The whole “I’m more objective than you” argument presupposes that the human can see truth apart from his own experience. Such is not practical or even realistic. All of our observations are interpretive. All of our interpretations form opinions. And all of our opinions come from our experience. Thus, realistically and practically, reporting and opinion are intertwined. News reporting is not math (e.g. 1 + 1 = 2)! Therefore, when someone complains that the press is biased towards the left, right, religious and atheistic, the complaint is not tenable or measurable. The complaint itself is subjective. The next complaint Christian people (especially many church leaders) make is that the press is non-Christian. The implication is that the press is untrustworthy, especially when it reports negatively about Christians. Just because an information-gathering service is not “Christian,” it does not mean its information is inaccurate. I wonder how many of us use encyclopedia or better yet, Wikipedia. How do we know the writers are Christians? We still use such information. How many of us have been lied to by Christians? Many of us have. In fact, I have also heard pastors disparage Christian media such as Christianity Today in the US or Christian Times of Hong Kong. So, are we more selective in when and how we denounce? Do we denounce when the news just does not fit our grid? Thus, the whole “Christians are more trustworthy” myth should simply go the way of the dinosaurs. To denounce someone for religious reason is just self-righteousness. The final complaint is against the “liberal” bent of the media. What’s the definition of “liberal” anyway? One person’s liberal is another person’s conservative. The sliding scale is as slippery as the labels “objective” and “subjective.” If by “liberal” we mean the media is always pushing the boundary of freedom, then it is only doing its job. Think about it. The whole idea of media is dependent on free speech and free expression. If we accuse the media of being liberal, we are merely saying that the media is fighting for its own existence and doing its job too well. What’s wrong with that? I bet North Korea’s media is pretty rubbish. Why? There is no freedom of speech in North Korea. Those guys are completely “conservative.” The very fact any Christian pastor can criticize the media is based on free speech on which free media is based. There is your irony! Some people want to exercise their own freedom by limiting freedom of others. There is our problem. PS: Here is the response by Apple Daily. Every June 4th, Hong Kong citizens come out in droves to commemorate one of the most senseless slaughters (well, all murders are senseless) of mainland Chinese students who wanted nothing but a little more freedom of speech. This cultural wound has not yet healed because China has continued to whitewash over the event. Here, I’m going to use it as a launching pad to talk about a greater problem: doing mission with no cultural sensitivity. Many of you know that I’m completely bicultural and bilingual and have lived in three continents for extensive stays. I’m always concerned about culture and the gospel. For some strange reason, many have chosen June 4th to come to Hong Kong to hold gospel-related meetings. A few years back, Hillsong United, the Australia Christian music group, held a huge concert right on that date at the Asian Expo Hong Kong right on that day, despite quite a number of us (including me) pleading with them to do it on a different day. The problem has several dimensions. First, I do not just blame Hillsong for their immense cultural faux pas but also for their arrogance. Even with the outcry, Hillsong neither replied to the local leaders nor mention anything in their concert about the June 4th, 1989, event. Sure, I understand they might not want to get involved with local concerns. However, if they don’t want to get involved with the biggest local concern, why even come? Is the gospel in a first-century vacuum? Second, I lay heavy blame (maybe even more so than on the visiting “stars”) on all sponsoring bodies that invite visitors to do such events on such occasions. The very fact there was an audience shows the church’s insensitivity towards its “mission” and “mission field.” Would Americans enjoy a big gospel celebration on 911? Would evangelists hold a big revival at a funeral? I would hope not! If the church continues to ignore its surrounding culture, non-believers will not only feel apathetic towards Christianity; they would actually hate it and its believers. So, I implore all my western Christian friends, even as a transplanted western citizen (I was a young immigrant to the US), please exercise a little cultural sensitivity. Our simple gospel and moving testimony can’t permanently heal the deep cultural wounds of many parts of the world. Our gospel action means nothing when it actually reopens cultural wound. If our gospel does not bring healing, at least don’t use it as a weapon to reopen wounds. Let me go back to the picture above the blog. Does it disturb you? That’s one of the tamer pictures. I don’t want to scare your kids. 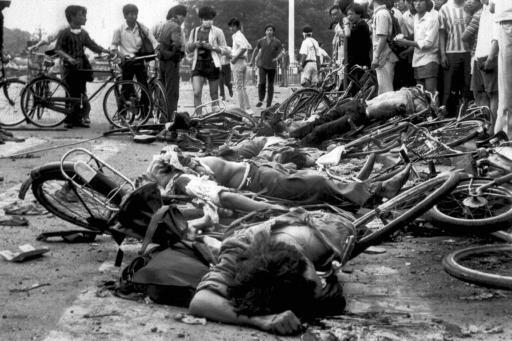 If you actually see some of the real pictures of bodies being completely flattened by tanks of People’s Liberation Army, you would lose your dinner. 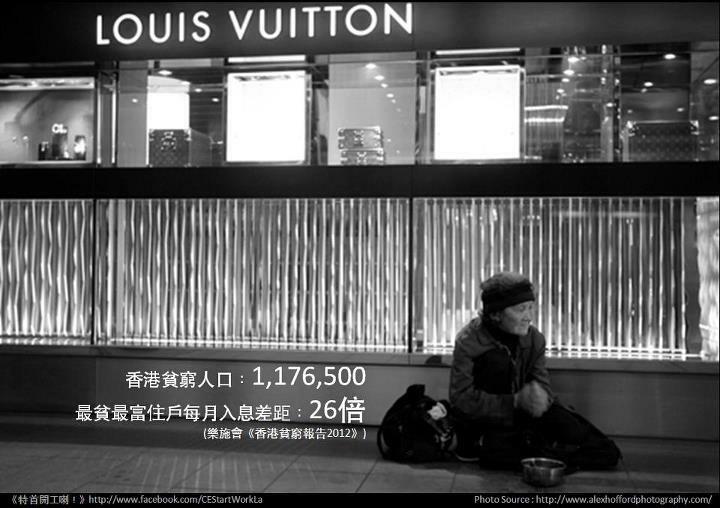 If such pictures do not disturb you enough to think twice about cultural wounds of the ethnic Chinese people, you really should NOT do any mission work. If you don’t plan to do mission with cultural sensitivity, go home! Reblog from my other blog on preaching death: Don’t do it! Have you ever told someone about your faith and you get a rejection? It’s a tough call. Should I be a pest and keep telling them about the faith? Matthew 7.6 has the answer … not! Matthew 7.6 has often been quoted to discuss evangelism. Some would say, “If they reject, leave them be.” Well, that’s a nice Christian attitude! Others would say, “Keep on doing it because the apostles were relentless in their mission.” Which side is right? I propose that both sides are misguided. Popular evangelism strategy usually vacillate between the two extremes. Some say, “Let’s just live our lives and never say anything about faith.” Others say, “Let’s always speak because tonight Jesus could come back and you can’t live your lives.” The fact is, truth is almost always something in the middle. If you’re a bad evangelist, no strategy will save you. From my observation, people react stronger to lifestyle and attitude than talk but people do need to know WHAT exactly we believe in order for them to know whether what we believe is what they need. Good evangelism is a combination of good timing, words and deeds. Some lousy witnesses are just jerks! Some even deserve their media notoriety because of their strategies. The above is a discussion about evangelism. Before you get all up in arms about which side is right, did you know that none of Matthew 7 has anything to do with evangelism. The passage has nothing to do with evangelism simply because Jesus was not giving an evangelism 101 class (should we even have those formulaic classes in church?). There isn’t anything in the passage that talks about evangelism. Instead, the passage talks about judging and not judging. Applying a text to topics Jesus was not addressing is one sure way to shipwreck one’s faith. Here’s a little interpretive hint for you. The sure way to find the answer is to look to see how the verse relates to the overall theme Jesus was trying to talk about, and in this case, he talked about judging. Stay on topic! Stay with the idea of judging and nothing else, least of all evangelism. How then do we know who’s a pig or a dog or is that even helpful? Someone needs to answer that question. One of the keys to understanding the meaning is the connection between between this harsh judgment and the prohibition to judge. IF you find the connection, you’ll most likely not far from the answer. For more information on the better solution to this verse, purchase and read my book here. This new series of blogs will address all the verses I have written on in my recent work, Right Texts, Wrong Meanings. It’ll be controversial and hopefully humorous. The purpose of this blog series is simple. I want to show that most of what we take as Christian conviction is a load of rubbish. There, I said it. I also want to show that bad interpretation itself is not always innocent and harmless. Quite often, it makes the Christian faith the laughing stock to everyone (including fellow believers) who come into contact with us. In so doing, I’m trying to promote biblical literacy by promoting hermeneutical (a way to interpret the text that is honest to its background but is also relevant for faith living today) literacy. I think the problem of the church is not biblical literacy only (though we’re pretty illiterate) but hermeneutical literacy. I guess those who are feint at heart may have to click away at this moment. For the rest of you brave souls who don’t want to remain intellectual/spiritual infants, ready? All right, now let’s take the wild Bible roller coaster ride. The very reason why I picked this passage is because its interpretations have a lot of logical implications. Let’s take the homosexual issue for a second as our prime example. For the side in favor of homosexual marriage, they’ll say to the opponents, “Don’t judge. Don’t you see that the Bible says not to judge?” Yet, is this saying not a statement of judgment itself by calling someone judgmental? For the side against the homosexual marriage, they can say, “No, YOU don’t judge! The Bible clearly says that being gay is a sin, a crime worthy of stoning. We’re not doing the judging. God judges.” Isn’t that a judgment against homosexual after making an interpretation of the text? The other side would retort, “Your God is a hypocrite who said not to judge but judges more harshly himself. What kind of God is that?” That too is judgment. The arguments can go endlessly. One of my readers humorously pointed out that the liberals are using a fundamentalist literal quotation of a text to attack conservatives. I don’t know if you see the irony in this, but I do. Now, the Bible-thumping conservatives do not like it when their method backfires. As I said many times, bad hermeneutics have consequences. Now, let’s get back to the matter at hand. Is any of the sayings above not a statement of judgment by stating “clearly” what God and human does and does not judge in this era? What I’m saying is clear. By making any kind of statement about judgment, we’re essentially judging. All interpretations of reality involve judging. Let’s say we see the nightly news about the oppressive bosses of the Hong Kong docks. We can say that the laborers are oppressed. Is that not judgment against the bosses? Let’s say we see another earlier news about North Korea threatening to blow up the US via its nuclear arsenal. Some people say that Kim is an idiot. Isn’t that also a judgment? What about when Jesus said that a listener could be a dog or a pig in Matthew 7.6? Isn’t that kind of judgmental? Virtually in all sorts of statements, propositional or not, so long as there’s a distinction between good or bad, right or wrong, moral or immoral, and beneficial or harmful, judgment is involved. If we apply Matthew 7.1 literally, we would have to suspend all our intellectual activity and common sense and retreat into our warm fuzzy caves. Of course, we cannot do that. What I propose is that we don’t apply Matthew 7.1 consistently. Rather, we do selective application. The problem is, selective applications can do more harm than good in certain cases. What is my solution? There is a simple solution to this problem. We shouldn’t take a general approach to Scripture. We should look at the limitation of each text within the context of the verse of passage. What in fact was the text DOING rather than SAYING? Quotation without answering the question of “why” means nothing because every time we quote, we also interpret due to the fact of us trying to make Scripture do what we want. The trouble is what we are dealing with may not be what Scripture is dealing with. The authority of Scriptural quotation should be taken away from Christians who continue to abuse them in their Facebook memes, in favor of deep interpretation. I’d rather not see a Scripture quoted than to hear it being quoted wrongly. The real issue with Matthew 7.1 is this. Is Matthew 7.1 a start of a new section and what is the end of this section OR is Matthew 7.1 part of another section? The answer to such questions would give better reason for this or that interpretation. For more information on the better solution to this verse, purchase and read my book here. Christians tend to rejoice quite a lot over the fall of those whom they do not agree with. I think that is always a tendency to do that. We don’t have to agree with him, but we don’t have to rejoice. This leads me to a deeper question. A lot of people are angry at Osteen not because he preaches what some consider New Age heresy, but because he dresses well, speaks well and makes loads of money off his books. Before we rejoice and point our collective accusing finger at Osteen, we need to ask whose fault this is. I would say that with one finger pointing forward, all the other fingers are pointing straight back at us. Why do we get angry at Osteen for making the money, if there’s no market for his stuff? WE are the ones with the problem, not just Osteen. The market made Osteen, and not the other way around. The kind of congregation sometimes causes the kind of church and preachers. How often do I, as a seminary professor, face palm myself when I teach certain students from certain churches who are, without exceptions, ill-equipped for seminary and ministry training (or any kind of Christian intellectual learning)? I lost count. So this is a hoax. Why do people spend so much time blackening people’s names on the internet by creating lies without doing equal amount of good and speaking truth. IF he enjoys his success and we don’t agree, then we need to think why (other than “he’s got the people’s ear with the easy gospel”) he’s more successful than most “evangelical” churches. Osteen’s problem is OUR problem, not his. So, before we rejoice and point fingers at his congregation at Lakewood Church and shout, “Suckers!”, we are better off thinking about how we ended up where we are, and where we should be going. This the introduction to a series of blogs about the making of my new book and the ideas behind why dealing with the topics within is important for our faith. After publishing this book, Right Texts, Wrong Meanings, I began to travel to speak on this topic. By the way, I am open to invitation to speak on this anywhere and any time. You can access my speaking schedule and my information here. In one particular seminar, I declared that Jesus quite often used the narrative of his society and turned it upside down in a disturbing way in order to make a sharp point. One questioner outright said that Jesus certainly did not do that. I was referring to one parable where Jesus took what was normal and turned it upside down to show how different the kingdom was. I asked further, “Why do you feel that?” The questioner replied, “I just FEEL that Jesus’ presentation is very NORMAL.” Here lies our problem. IF Jesus was not speaking anything that was challenging to his faith community, why would they crucify him? IF Jesus was the domesticated carpenter of our popular church culture, why would he be worth considering? The fact is, we each create the Bible based on our assumptions, some of which are uninformed and unfound. The fact is, like OUR Jesus, our Bible is also created in our own image. I suggest that the Bible as a whole disturbs rather than delight. Sure, there are places that can cause you to laugh out loud if you understand Jesus’ culture. Many of Jesus’ parables are outrageously funny. Many of his points however, are greatly disturbing. In reading this book on popular texts, many are greatly disturbed. I’m glad. Many are greatly disturbed because their comfortable little “Christian” world built on wrong assumptions, interpretations and worse yet, applications, have been completely deconstructed. Remember this. Just because a falsehood has been repeated a thousand times, it does not become truth. I dare say that the shock people receive from reading this book and listening to my lectures is an indictment of our church culture and pulpit. Our church culture is meant to create comfort. Many of our pulpits are meant to induce euphoria. Jesus did neither. By lulling the slumbering church using unexamined Christian cliches, many preachers have failed miserably to challenge their church culture the way Jesus challenged the religious leaders of his day. In fact, not many of us are creating enough of a ripple to make us worth crucifying or even persecuting. And when we are making enough waves, we’re usually making the wrong waves. What really is our church life meant to be? Our lives are meant to meet challenges to our faith, our assumptions and our ethics. Over the years, my faith has evolved, hopefully for the better. I’m greatly delighted that through my education and teaching in various post-grad academic institutions, I have been able to hold firm to what is good and to get rid of the extraneous and erroneous. In the next series of blogs, I will examine the making of each chapter of my book and discuss what false assumptions and interpretations can hinder rather than help the Christian life. Stay tuned. For ordering your copy of the book, feel free to look here.